More than 1,000 workers worldwide die on the job each day. Each year, some 2.34 million workers die on the job—more than 1,000 a day worldwide. Some 300 million more workers a year suffer from non-fatal job-related accidents and illnesses. Working people in every economic sector face serious risks. The race for economic competitiveness and globalization has de-prioritized basic human rights and cheated workers of the fundamental protections they deserve. On April 28, workers and worker rights activists like the Solidarity Center observe Workers Memorial Day—an annual day of remembrance for workers who died or were injured on the job. 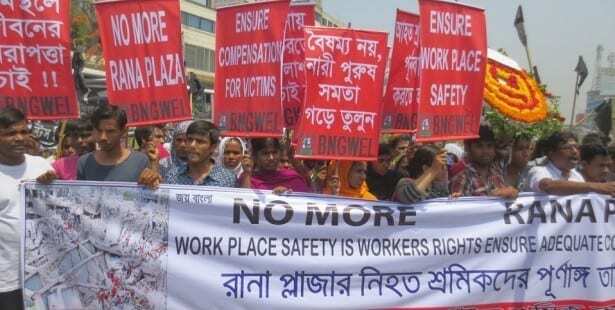 On Workers Memorial Day and every day, the Solidarity Center works with union allies worldwide to make sure workers know workplace safety and health standards and ensure that employers adhere to them. Decent work—with good wages and benefits—also means safe and healthy working conditions.